With the onset of parents deciding to not vaccinate their children, new research is showing that there are emerging hotspots of disease outbreaks associated with these lack of vaccinations. Through the work of vaccines, we have managed to evade and eliminate the risk of many diseases like measles and mumps. Through vaccination programs across the United States and the world, we have managed to create a healthier population that resists the effects of many detrimental diseases. All of this is undermined by the emergence of anti-vaccination mentalities that push against the use of vaccines. This mentality has led to the emergence of hotspots across the US where people are not vaccinating their children. These hotspots are at risk of creating disease outbreaks, which are wholly preventable. As of today, there are 18 states that offer nonmedical exemptions (NMEs) to opt out of getting children vaccinated on the grounds of “philosophical-beliefs”. Some of these states include Maine, Texas, Utah, and Oregon among many others. Researchers from across Texas looked at public health data around the United States as they wanted to see the relationship between NMEs against the prevalence of MMR in kindergarteners. They found that states with high NMEs also had high levels of MMR. Some areas with high NMEs were Seattle, WA, Portland OR, Houston, TX, and Austin, TX. These are all major metropolitan cities. While there are some small counties with high NME levels, most of the hotspots are found in major cities, which places a lot of people at risk of diseases. 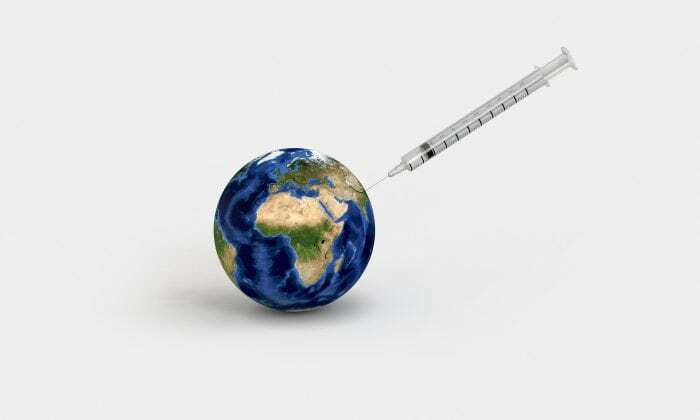 “Our concern is that the rising [non-medical exemptions] linked to the anti-vaccine movement in the US will stimulate other countries to follow a similar path,” said the researchers concerning the findings in their study. They also believe that it is important to implement stricter legislative actions to reduce or eliminate these NMEs. The researchers add that to adequately protect a population from a disease outbreak, there need to be about 90-95% vaccination rates. These hotspots fall short of that. In Camas, Idaho, about 27% of kindergarteners had NMEs in 2016. This means that they had a vaccination rate of 73%, which falls a lot short of what the researchers recommend. They are not the only ones. In Bonner, Idaho it was 20% while in Boise, ID it was only 16%. These situations create an unnecessary risk for the people and healthcare systems in the region. This is one of the reasons that many countries around the world have begun to implement legislation to enforce vaccinations. These include many European countries as well as Australia, which makes vaccinations mandatory and includes fines for those who do not follow the law. The concept that the researchers are talking about when they say that there needs to be a high percentage of the population that is vaccinated is called herd immunity. Herd immunity, or community immunity, is the process by which vaccinations prevent individuals and communities from getting a disease. Essentially, if enough people within a community are vaccinated, then the disease will not spread. The higher percentage of individuals that are vaccinated, the less likely it is for a disease to spread until it cannot spread at all. The range of 90-95% being vaccinated allows a community to be safe from a disease because it renders the disease immobile and it cannot spread throughout the population. If these levels drop, then the herd immunity is gone and the population is now at risk. Redditor theotheredmund created a gif to illustrate how herd immunity works as a disease tries to spread across a population. This is based on data that was published in 1993. The disease easily spreads across the population when vaccination percentage is below 75%. The optimal levels to prevent disease from spreading is 90%, though higher is better. Through vaccination and achieving herd immunity in many populations, we have managed to eliminate the risk for many diseases. However, just because vaccines had eliminated these risk does not mean that the diseases themselves are gone. People are constantly traveling in and out of the United States. Many parts of the world do not have as robust of a vaccination program as the United States, so there are diseases in certain areas that we can become at risk too if our herd immunity diminishes. This means that we must continue to get vaccinated and ensure that future generations are vaccinated to prevent outbreaks. This is why the anti-vaccine movement is so dangerous. Choosing not to vaccine your child endangers both your child and the people around them. Strict policies, like those in Australia, has already been shown to be effective at ensuring that children are vaccinated. Some areas in the US have also implemented their own strict policies that have shown to decrease NME rates. Many states have implemented less strict means to decrease NME rates. For instance, California prohibits NMEs from vaccination requirements of both public and private schools. In Colorado, vaccination and exemption rates must be made publicly available concerning schools and childcare. Among the many states that are working towards reducing NME rates, education seems to be an effective route. Parents or individuals seeking to apply for NME are sometimes required to view educational materials concerning vaccines and the risk of NME. As noted, this is being done by many but not all states. Some states have implemented legislation that allows for an increase in NME. As the researchers noted, it is important that further action is taken to eliminate the risk that NMEs and anti-vaccination places on society. These could be federal legislation that unifies and eliminates the disparity between state laws. As the laws remain varied across the US, it is likely that these hotspots will continue to exist and others may emerge. This means that for the time being, we must ensure that future generations are vaccinated and we remain vigilant for future outbreaks.